Anyone who enjoyed Pokémon growing up is familiar with the endless varieties of creatures to choose from. Each Pokémon presents its own unique set of traits and has its own special advantages in battle–which makes the world of Pokémon a very exciting place! To top it all off, many budding trainers look forward to expanding their collections with the biggest Pokémon they can find. In this list, we’ll be taking a look at 10 of the largest Pokémon in the world and learning about some of their abilities and backstories. No matter what type of Pokémon you personally prefer, you’re sure to wind up feeling impressed by the massive scale of these particular specimens! If handled properly, your Feebas will evolve into the graceful Milotic, which is said to be the most beautiful of all the Pokémon. This graceful water and dragon Pokémon can use its abilities to calm others and soothe their combative natures. Its body is largely cream colored, and is accented by red and blue scales, red eyes, eyebrows, and antennae, and a blue fan-shaped tail. While strong and impressive in the water, this Pokémon is weak to grass and electric types. 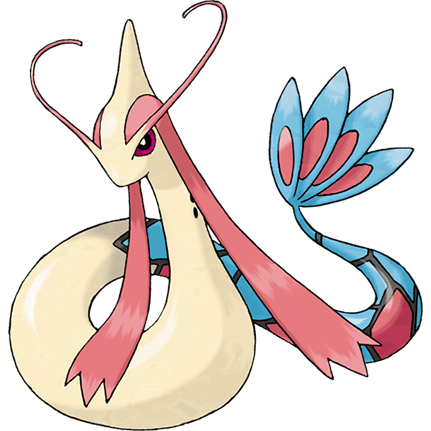 The Milotic Pokémon may have been inspired by the melodic calls of sirens, as well as the Loch Ness Monster or sea serpents and dragons. Milotic is said to rise from the ocean depths in response to quarrelling so that it can bestow calm feelings. 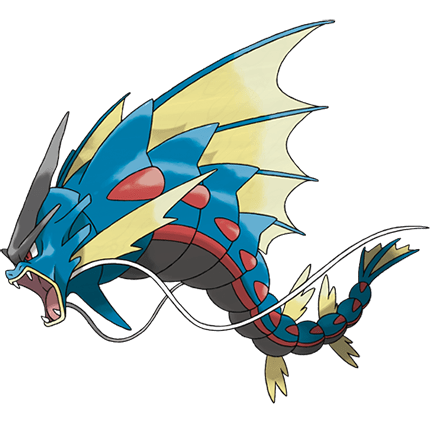 This Pokémon might have some truly humble beginnings as Magikarp, but can be a great companion once it evolves into Gyarados and begins to thrive. Gyarados already boasts an impressive size, but gains even more weight once it evolves into Mega Gyarados. This huge Pokémon retains the chaotic, violent nature of its less-evolved Gyarados form, making it a formidable foe. Mega Gyarados’ sports a large, intimidating crest and yellow sail from the back of its blue body. The aggression present in both Gyarados and Mega Gyarados is attributed to the way Magikarp’s brain cells restructure during its evolution. This Djinn Pokémon is not only giant in size, but strong in combat, boasting impressive offensive stats in-game. Hoopa Unbound uses its hoop to warp space and move things to faraway places. This Pokémon is said to be able to grab anything with its powerful arms and move it through these hoops. 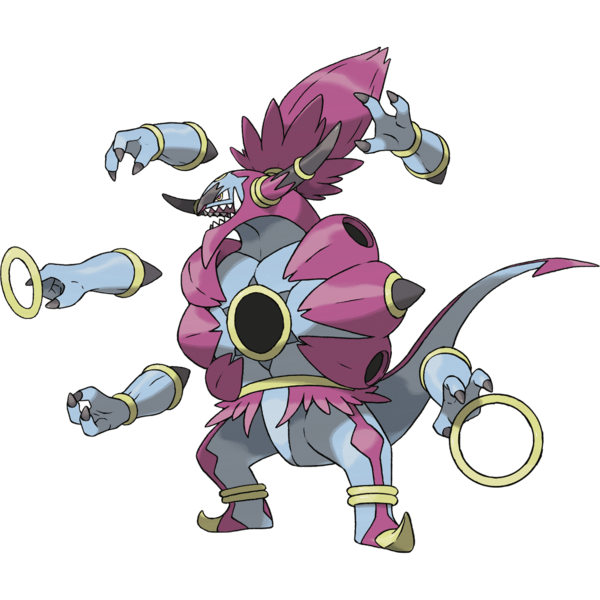 Hoopa Unbound utilizes six arms and six rings, in contrast to the two arms and fewer rings of Hoopa Confined. Hoopa Unbound was said in legends to have been so avaricious that it relocated an entire castle through its hoop in order to gain all the treasures within. This towering Renegade Pokémon is an intimidating foe, and does not have any other evolutions. 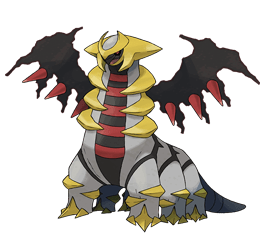 Giratina is said to live in Distortion World, a strange or “reverse” world with very different common knowledge than what we’re accustomed to. This Pokémon is weak to other Ghost and Dragon types, and its prime move is Defog. It’s dinosaur-like build, spiked wings, and golden ridges gives it a threatening appearance. The aggressive look of this Pokémon certainly fits the intense, violent nature. Giratina is said to have been banished to the strange Distortion World for its violence, and still gazes through with its red eyes to the world where it used to reside. 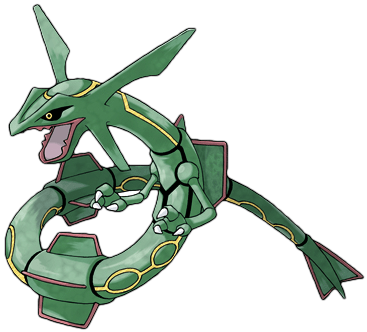 Rayquaza utilizes flying-type stab moves and strong offense in combat, but struggles with defense and speed. Its shortcomings render it most vulnerable to Rock, Ice, Dragon, and Fairy types. This Pokémon flies endlessly through the sky, and legends tell of how it descended to resolve a conflict between Kyogre and Groudon. It’s said that Rayquaza may do so again in the future if the bickering resumes. According to legend, Rayquaza lived for hundreds of millions of years above the Earth’s ozone layer before it was discovered by humans. It lived so high up in the sky that it simply had never been seen or noticed before. This rough, stony Rock Snake Pokémon travels by digging through the ground and uses a magnet in its brain as a natural compass to avoid getting lost underground. 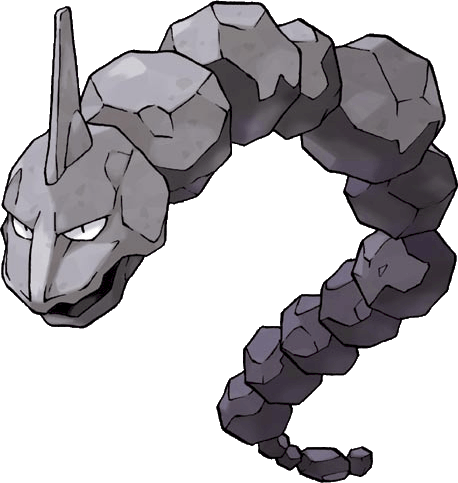 As the name would suggest, Onix is made out of stone, and uses its sturdy mass to tunnel and deliver powerful attacks. The friction between Onix and the ground causes its stony surface to become smoother and more rounded with age. Onix’s formidable outside darkens and hardens over time, and it eventually evolves into Steelix. Onix can move at surprising speeds up to 50 mph, and tunnels through the ground by wiggling its massive body like a worm and constantly eating rocks and dirt that stand in its way. This huge Sea Basin Pokémon has the unique ability to conjure storms and cause rain to fall from the sky. Primal Kyogre’s ability to control water is so powerful that it can cause massive rain clouds to form over dry areas and save people from drought. 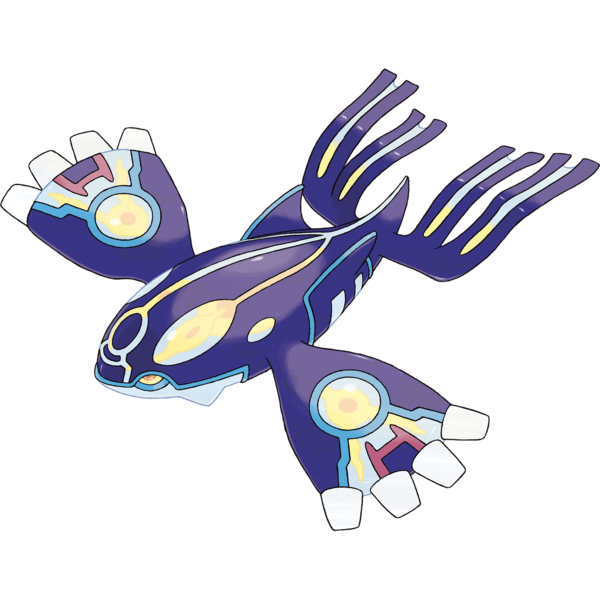 This Pokémon’s aquatic nature is clearly present in its fish-like appearance, which features large fins fanning out from the body. Like Groudon, Primal Kyogre was defeated mid-quarrel by Rayquaza and retreated soon after. This massive oceanic Pokémon is said in various legends to have been responsible for the creation and expansion of the sea. After its long fight with Groudon, it departed to rest in a marine trench deep in the bottom of the ocean. 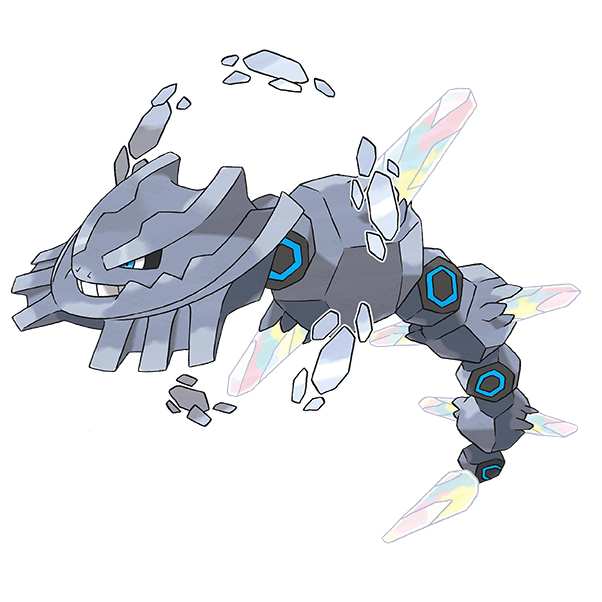 Legend has it that if an Onix lives to reach 100 years old, its body composition will automatically become diamond-like and evolve into a Steelix. Steelix lives even deeper under the ground than Onix, and has been known to dig towards the Earth’s core. It uses its massive jaws to chew through boulders and ingest iron from the ground, which contributes to the hardness of its exterior, and its eyes are developed to see though the subterranean darkness. Steelix’s body is tempered even harder than diamond, as a result of the heavy compression and heat it experiences deep underground. Appearing from the Ultra Wormhole, Celesteela is a formidable Ultra Beast and poses a fair amount of danger on Earth. While apparently a common creature in the world it originally came from, Celesteela is noticeably different from the Pokémon of our world. It is predominantly green and metallic, with its arms resembling segmented bamboo shoots. While Celesteela is a Steel type Pokémon, it has some plant-like attributes such as the ability to draw nutrients from the soil. 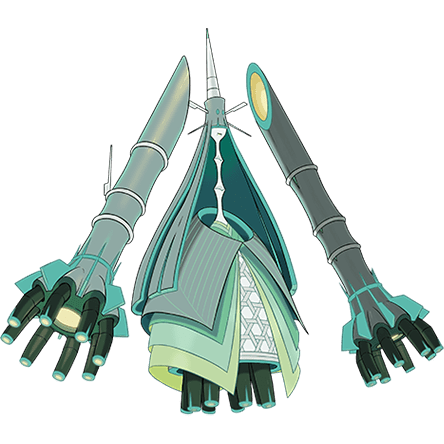 High energy readings can be detected emanating from this Pokémon’s huge, metal arms, and it has been seen expelling flammable gas from these formidable arms to light forests on fire. Wailord is the largest Pokémon in the world. It also has the highest base HP of all Water type Pokémon. This colossal aquatic Pokémon swims through the sea with its mouth open, eating large amounts of food at once. It herds its food through the sea and jumps out of the water to create a huge splash. Wailord watchers all throughout the world love to witness the impressive breaching of this massive Pokémon. 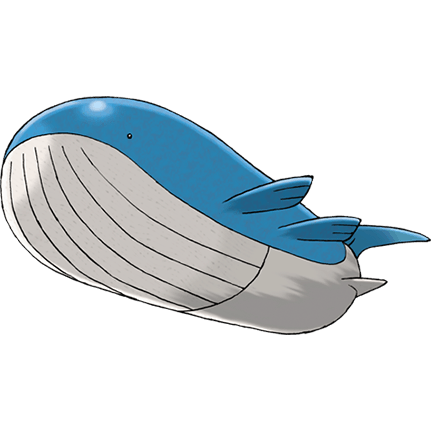 Wailord is labelled a Float Whale Pokémon, and as such it weighs far less than its awe-inspiring size would suggest. Wailord can descend to depths of up to 10,000 feet on a single breath once it surfaces and breathes to its maximum capacity.